iINTRODUCING THE MALIBU GRILL – THE LATEST IN THE LINE OF INNOVATIVE PRODUCTS FROM LAZYMAN The “Malibu” grill series is the latest product offering from LazyMan and carries on the 80 year old tradition that LazyMan has been known for: forever lasting quality, life-long endurance, and beauty. 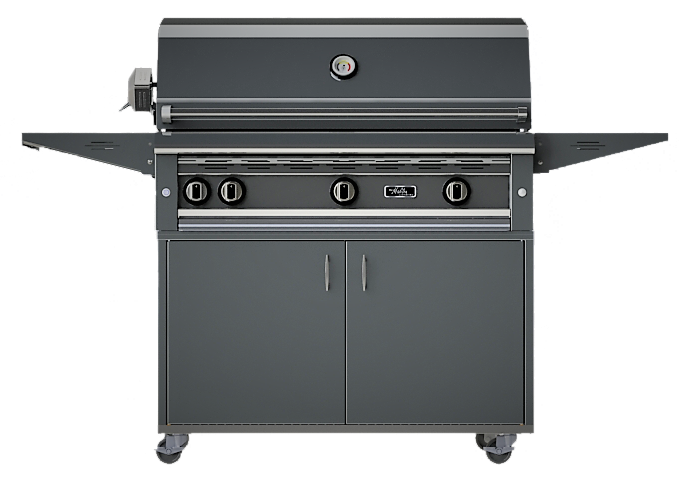 The product Malibu 42″ is available in both built-in and freestanding, and there are available matching doors and drawer combinations to customize your outdoor kitchen. Made entirely from heavy duty 304 stainless steel with both a beautiful #4 brushed finish and a #8 chrome-like finish for the front panel. 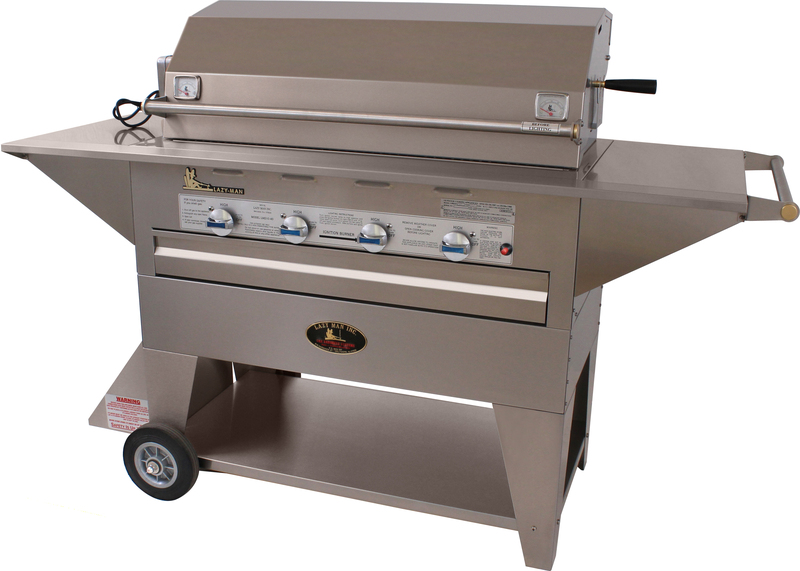 All fasteners used on the grill are also stainless. 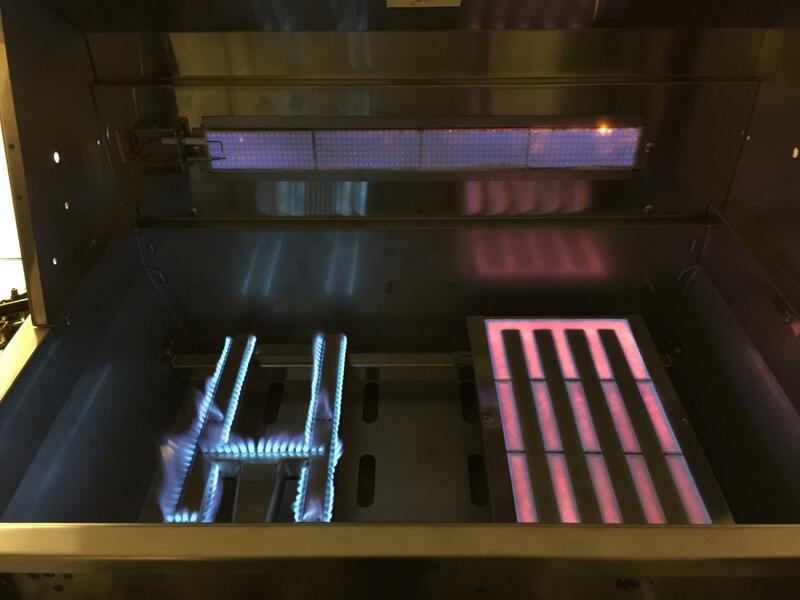 Powerful and new-to-the-market, 14GA stainless steel H-Burners deliver lasting performance with a rating of 25,000 BTU’s each. 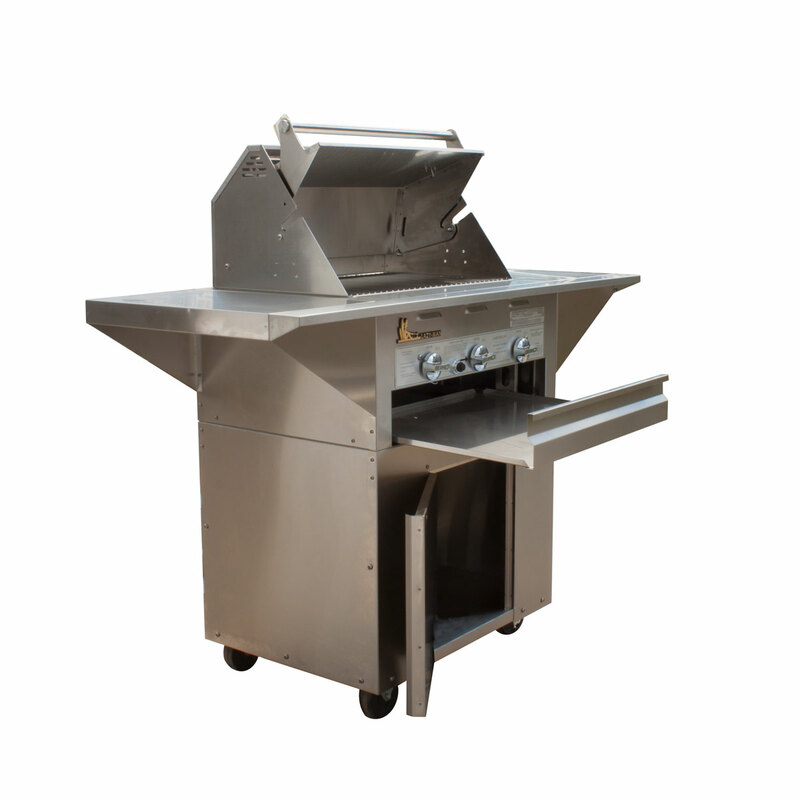 Grills are manufactured using all welded construction. This means that all seams are ‘sealed’ which eliminates the chances of ‘seepage’ of grease and marinades into the grill body. 9 Volt, sealed operating system allows for reliable ignition year after year. • Hood light comes standard with all grills and uses an extra-bright 10W Halogen light. 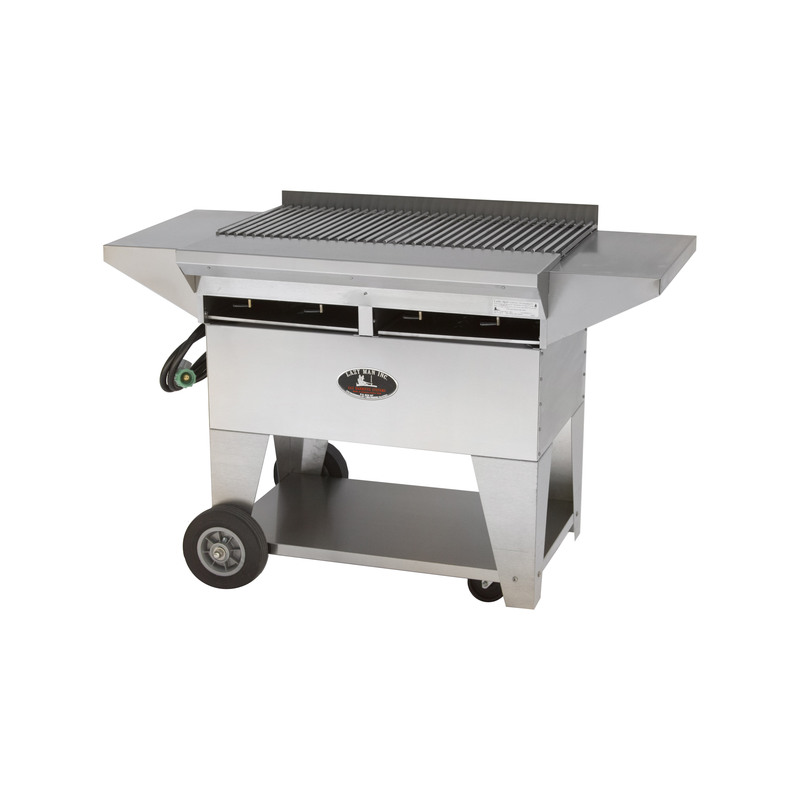 All ‘finished’ surfaces including the main hood, the rear hood, and the bullnose assembly are manufactured with ‘seamless’ welded construction with polished highlights, creating a beautiful end result. 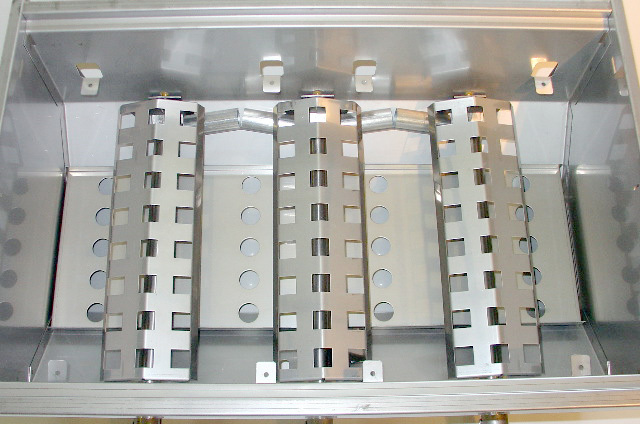 Individual, grounded electronic igniters are used for each burner. Push in on the desired control knob and that burner lights. 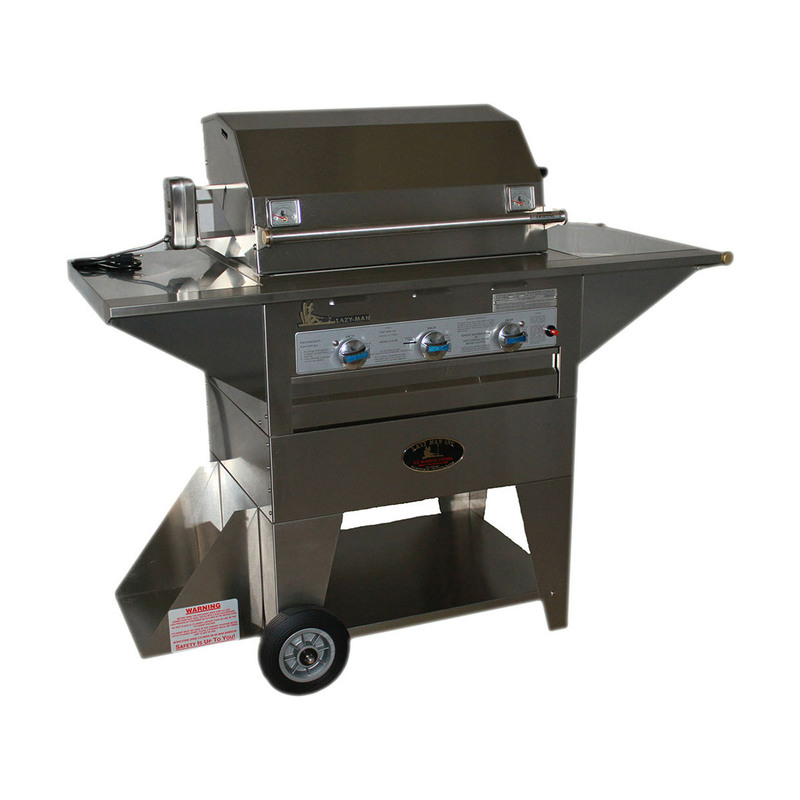 Hood thermometer comes standard with all grills to measure the inside grill temperature. This allows you to preheat and add your food product just at the right moment for perfect cooking. 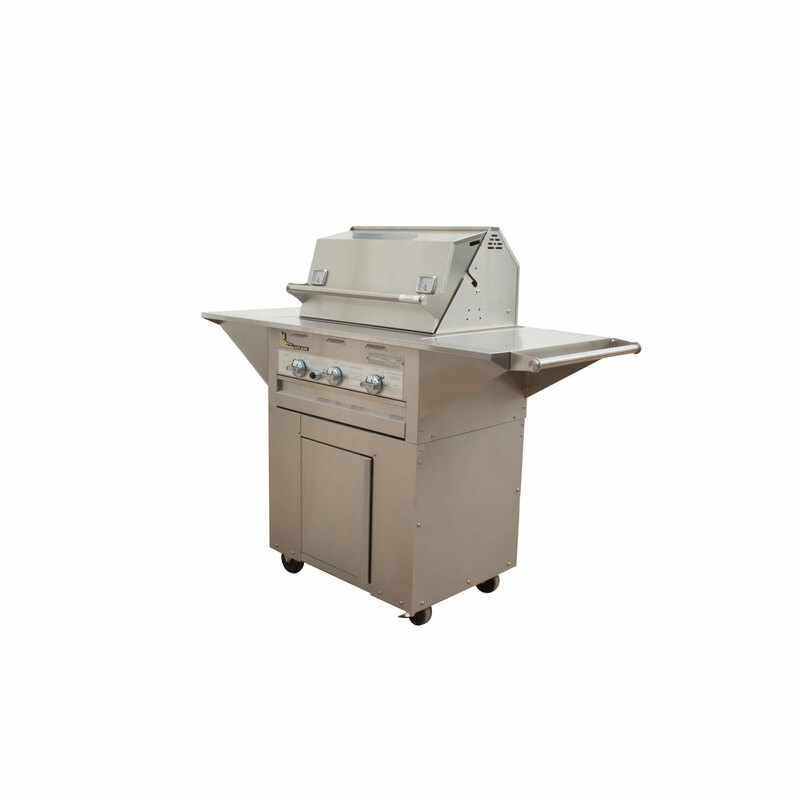 Tilt-up rear warming rack allows you to lift up, slide over, and move out of the way when you need a little more room for flipping your burgers. 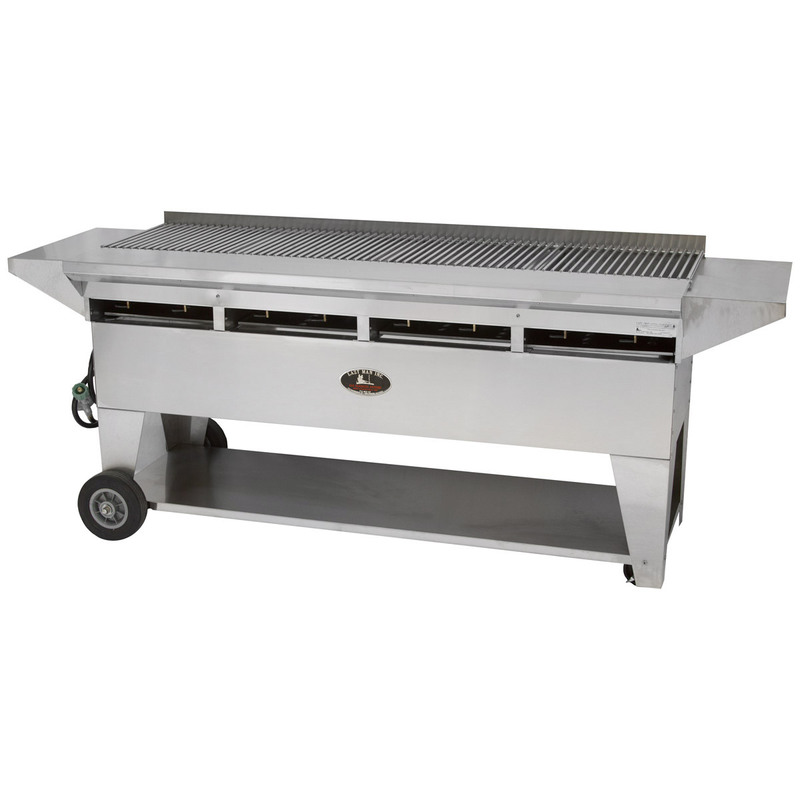 Stainless steel, heavy duty cooking grates- for when the grilling gets large and heavy. 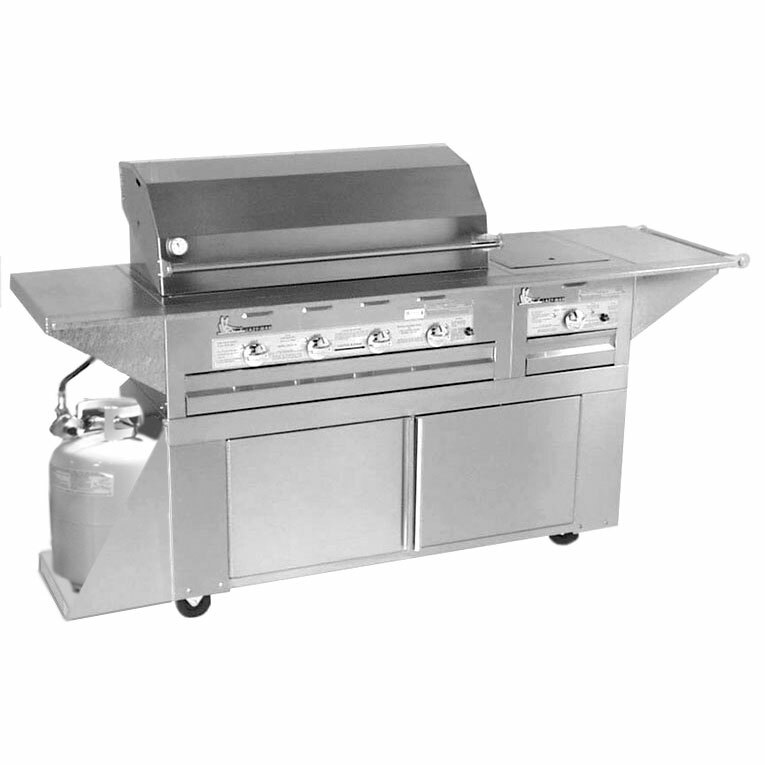 Optional rotisserie system includes a rear 15,000 BTU infra-red burner, heavy duty stainless spit rod, spit forks, and a quiet rotisserie motor. 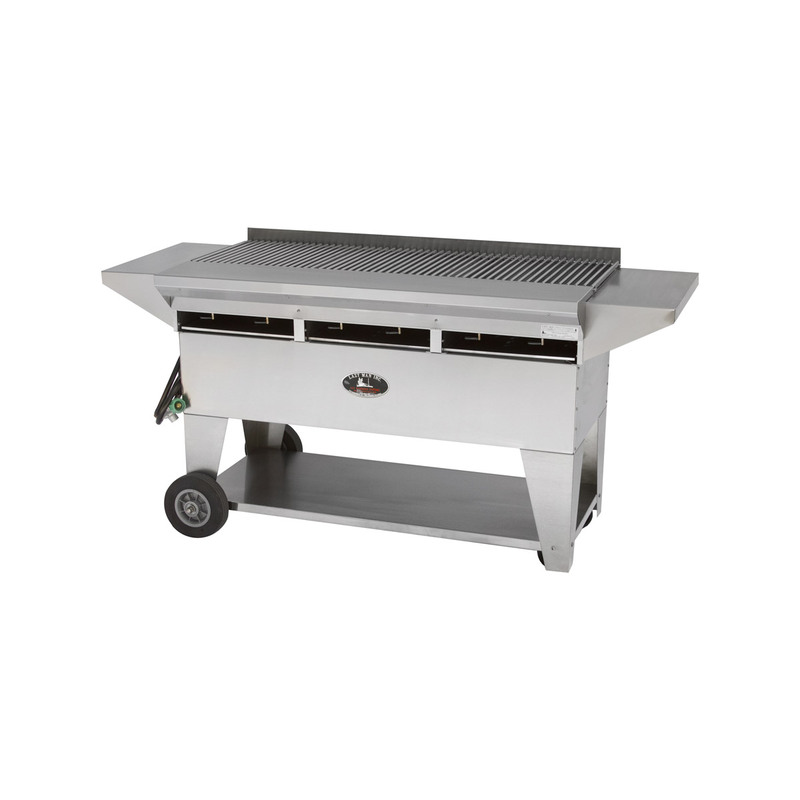 Optional, adjustable, 23,000 BTU infra-red main sear burner for high temperature cooking. 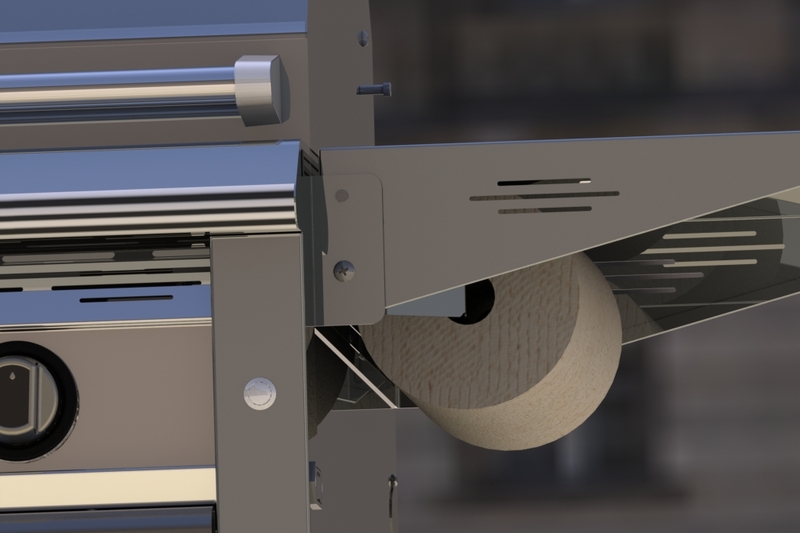 Allows heat adjustment down to the slightest levels for cooking thin meats, fish, and vegetables. Easy slip-in island installation with beautiful results. 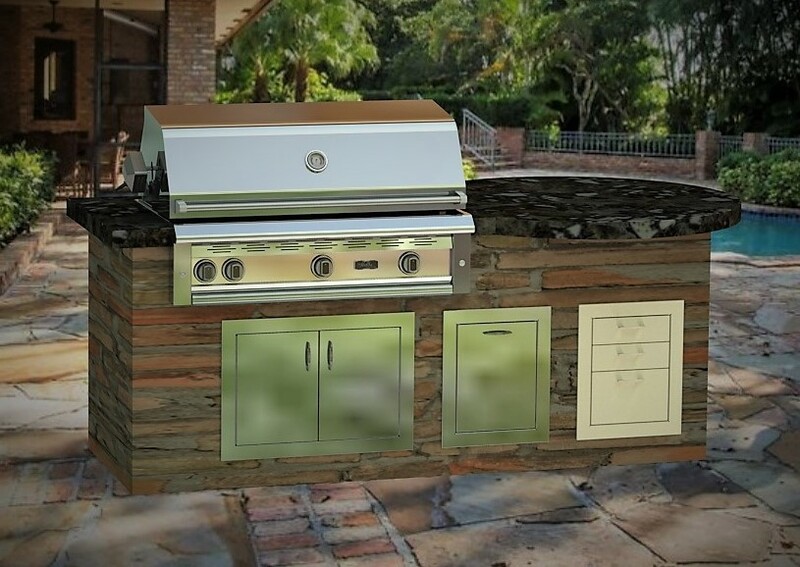 Add the optional door and drawer combinations and you are ready to enjoy your new back-yard kitchen and a touch of paradise.